The Tugwaan Male tries to catch some sun on a cold winter's morning. 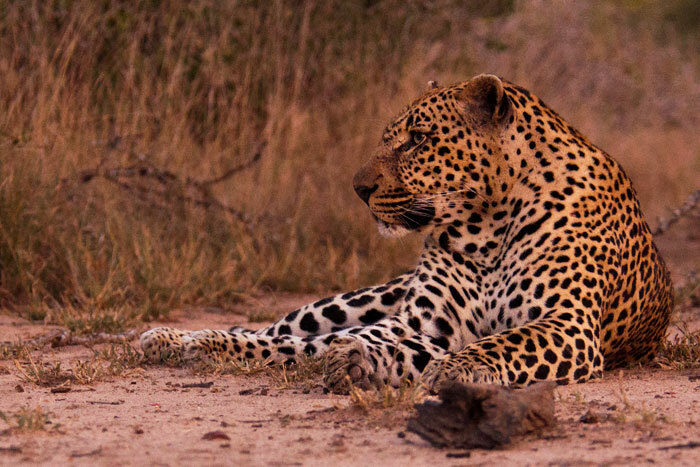 This male's territory extends throughout the southern half of Londolozi, and his dominance has led to a strong lineage of offspring, such as the Tamboti Female, the Dudley Riverbank 5:5 Male, and the Dudley Riverbank 3:3 Young Male. 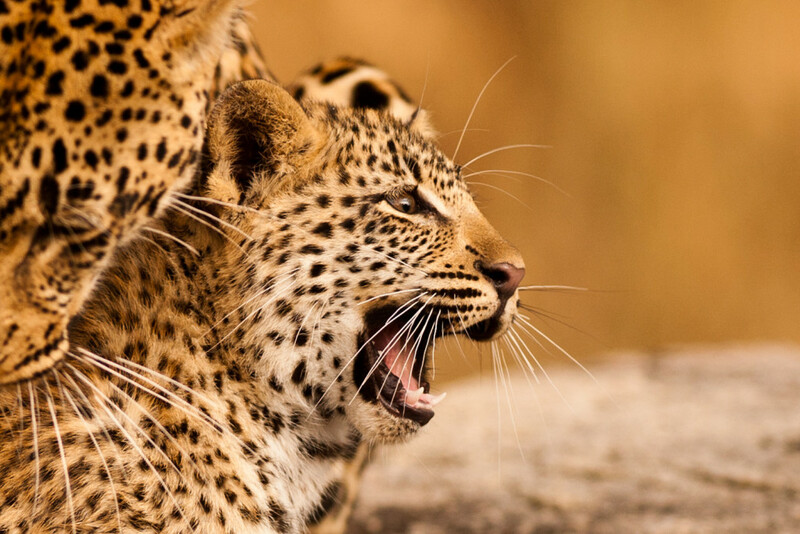 He is truly a legend amongst the leopards of the Sabi Sands, with no sign of slowing down. 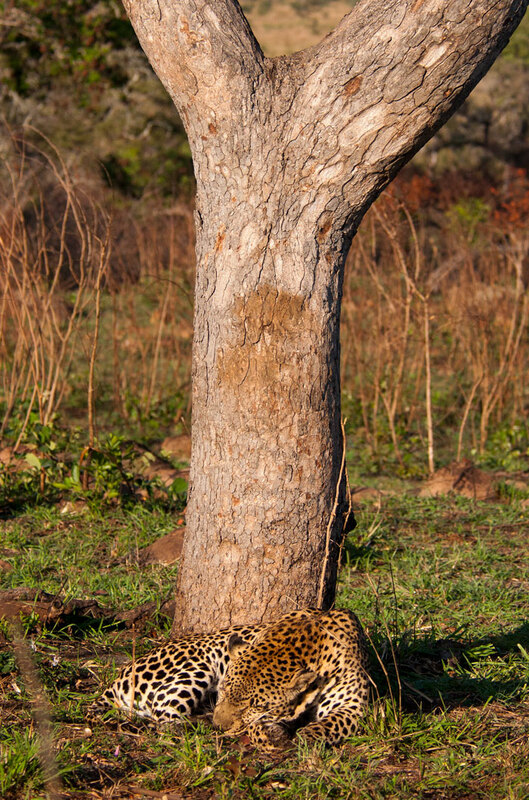 He blended in beautifully at the base of this marula tree. 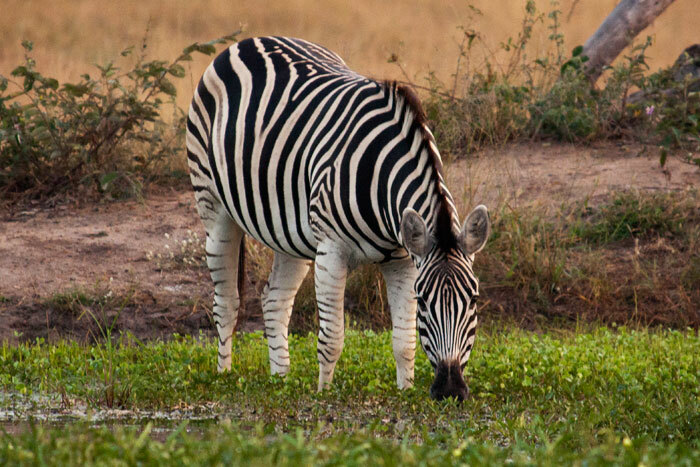 A zebra drinks amongst the lilypads at Circuit Pan. 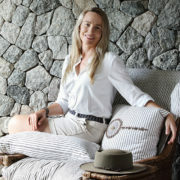 During the dry winter months, it is sometimes advantageous to sit at a water source and wait for animals to come drink. One of the Majingalane males - the one with the broken tooth - looks attentive as he watches a Sparta lioness hunt a giraffe. Such a large target would require some assistance from the big males as well as the other lionesses from the pride - but the giraffe got away safely before the hunt became serious. 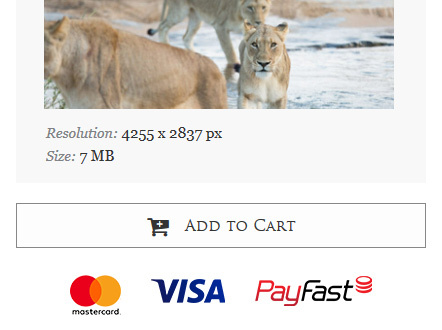 There are special tactics involved in hunting such large prey, and generally only certain groups of lions will dare try! The Sparta Pride is known for its tendency to (successfully) hunt giraffe. 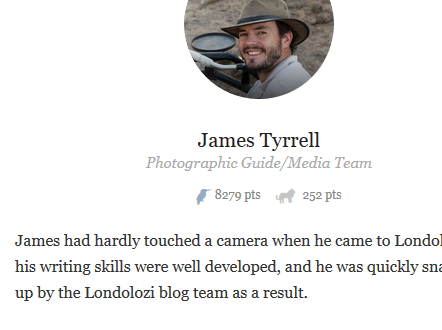 Once again, it is not always the photographic sightings that are the most memorable. 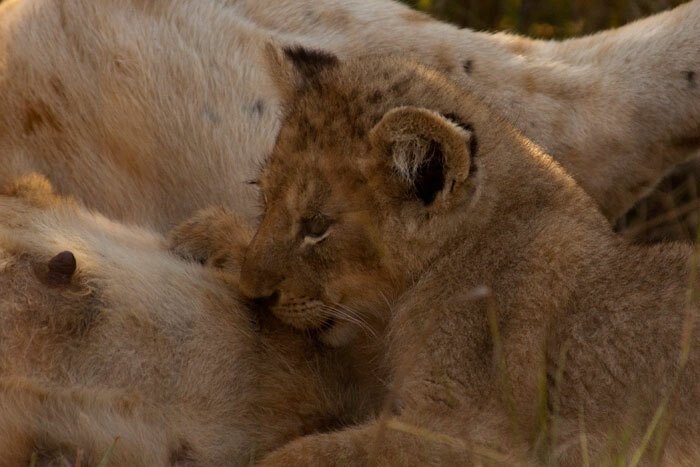 Here, we shared a quiet moment with the 12 month old cub of the Tutlwa female, who watched us from a thicket. 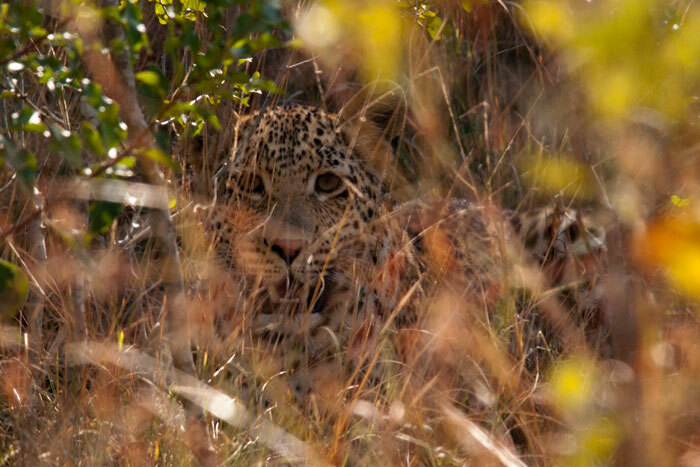 This shy female is easily recognized by her gorgeous pink nose. Her sibling, a male, is even more elusive and we got a quick glimpse of him before he ran away. The young female, however, was curious and sat about 10m away investigating us, and then relaxed, grooming herself, and napping. 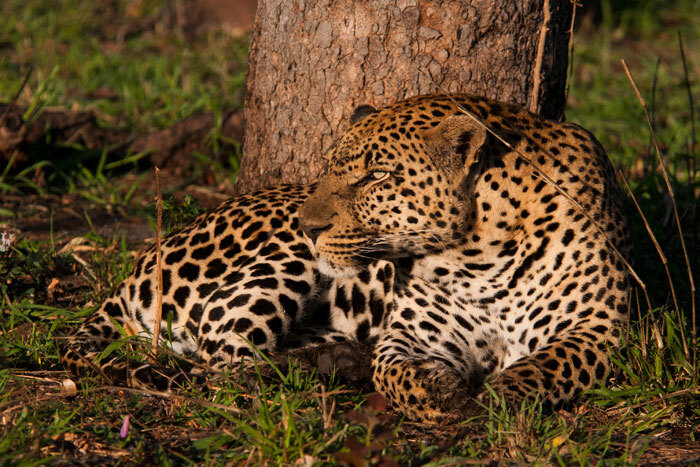 It is truly special to watch this leopard become progressively more relaxed with our presence. The sun rises over a misty winter morning. We found the Tugwaan Male again a few days later, having a faceoff with a buffalo during his territorial patrol! 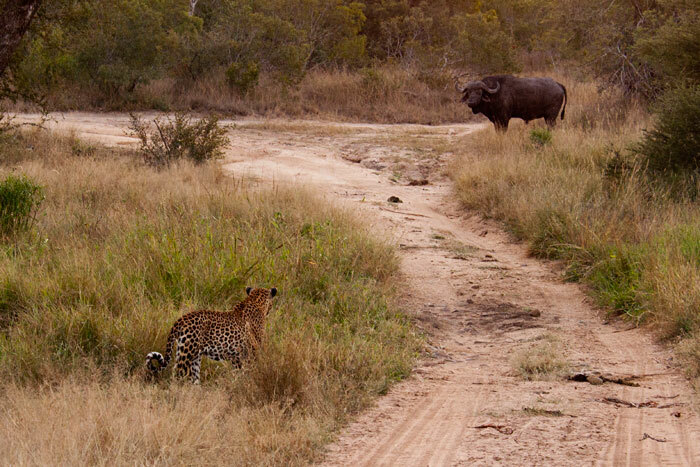 The buffalo pictured merely stared the leopard down, but his friend nearby swept in from the left and chased the Tugwaan Male off the road. 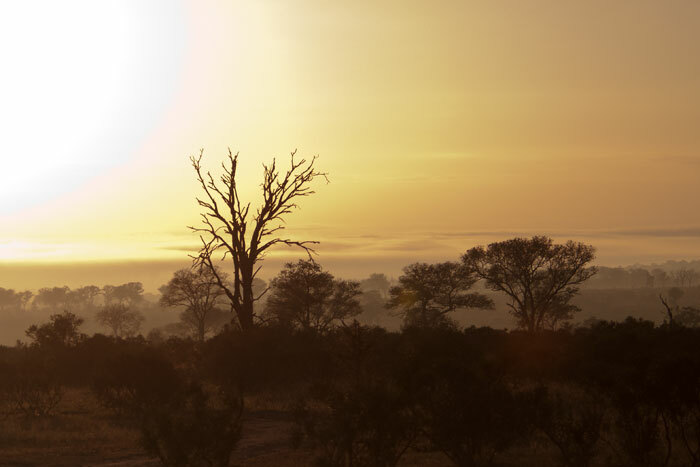 Afterwards, we followed him until he lay at the edge of a clearing, seemingly waiting for darkness to fall so that he could hunt the rutting impala on the plains. Being fortunate enough to view certain individuals frequently, like this male, you learn their physical and behavioural characteristics. Other than his spot pattern, the Tugwaan Male is easily identifiable for me by his long face and sloping profile, as well as the upside-down heart spot next to his left eye. 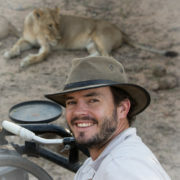 We hoped to watch him hunt impala, so we stayed with him until after nightfall. 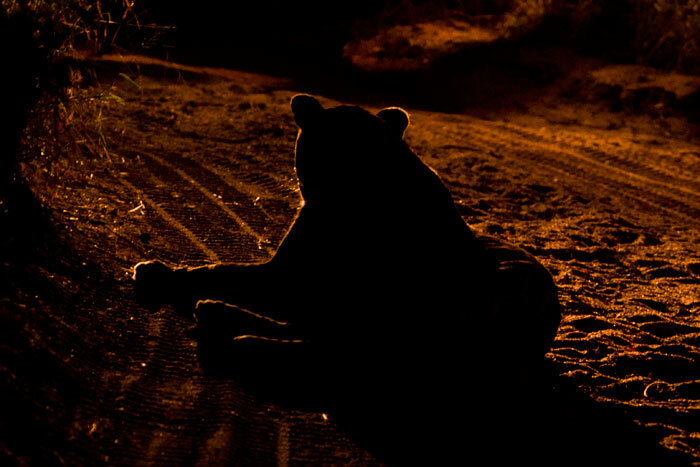 When watching hunting predators at night, we do not shine any lights on them to give an advantage to either predator or prey. However, as we sat in the darkness the male suddenly called territorially, indicating he was not in 'hunting mode', so another vehicle switched on the lights to have a look. 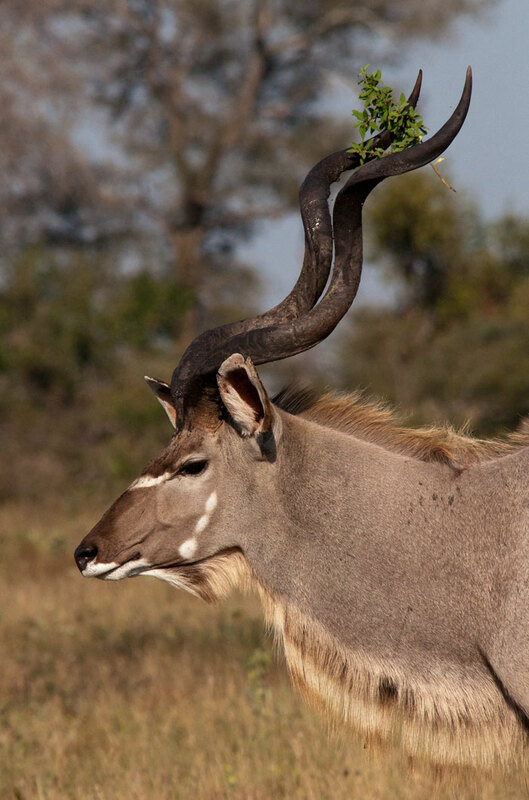 A beautiful male kudu adorns his impressive horns with a branch. 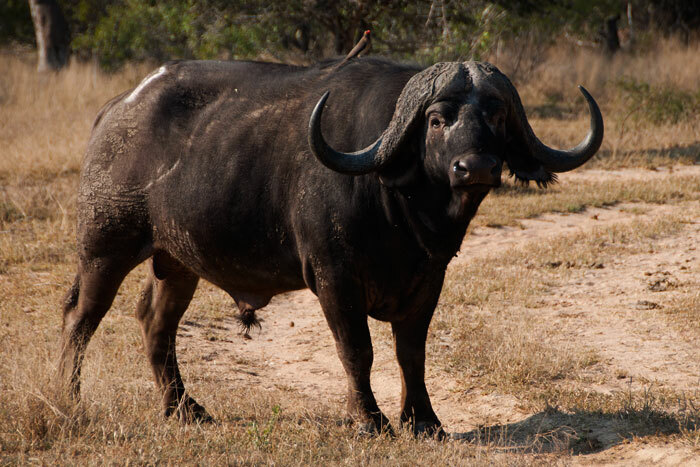 It is also their breeding season, and the branch as well as the dried mud on the horns is evidence of him having thrashed around in the mud and vegetation, showing off to other males and scent-marking. 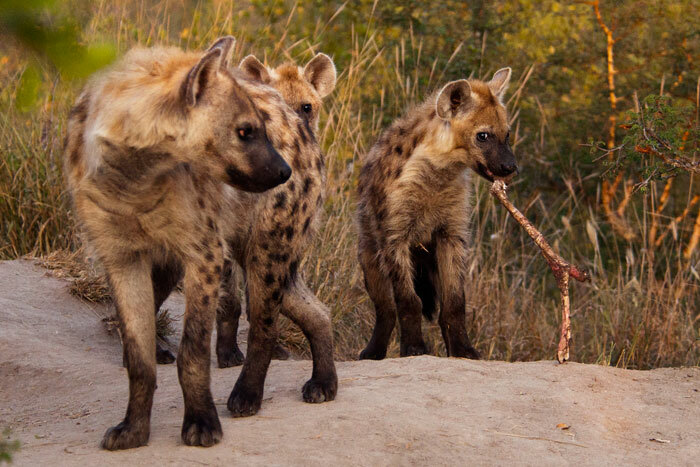 A hyena cub looks guilty as an adult catches him stealing an impala leg. The scraps had been brought back to the densite for the older youngsters to feed on. Even though the youngsters are about 9 months old now, they still do not leave the densite to hunt with the adults. 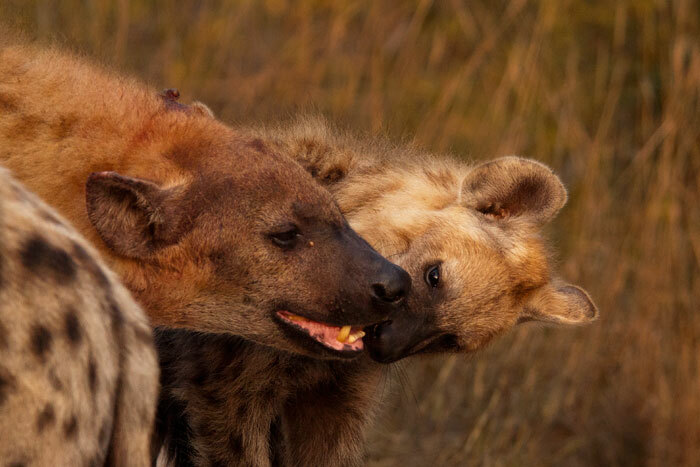 This is typical of hyenas who have to nurse their young for longer than other predators. One of the youngsters picks at the teeth of the dominant female. Upon her arrival back at the densite, there was a flurry of excitement as the young ones greeted her. 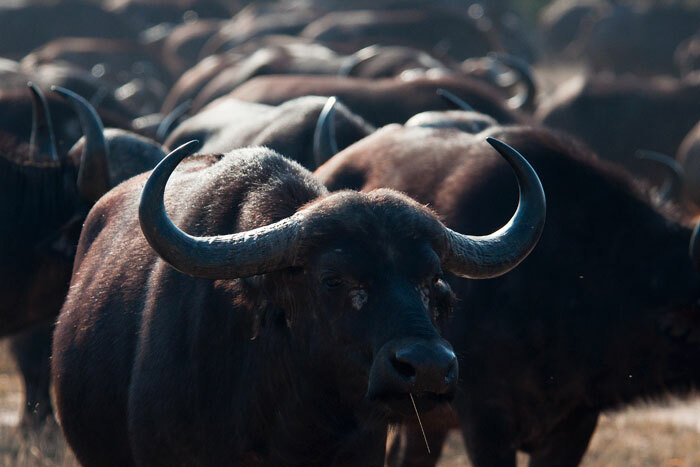 We also had a fantastic sighting of this herd of buffalo, albeit a different one than the herd that usually passes through Londolozi. Even though these animals are not territorial, it is normally the same groups who pass through, and we can often identify certain individuals from the masses. Other than the fact that this herd was in a completely different area than where we usually see them, we noticed there were far fewer youngsters than the 'usual' group. Additionally, this individual stuck out so much with his strangely shaped 'drooping' horns and ears, we knew we would have recognized him! The sightings of the three tiny Sparta cubs continued this week. Still being so vulnerable, the female rarely brings them to open areas where they cannot be concealed by the tall grass. Regardless, it is a huge treat to be able to spend time with them as they grow! 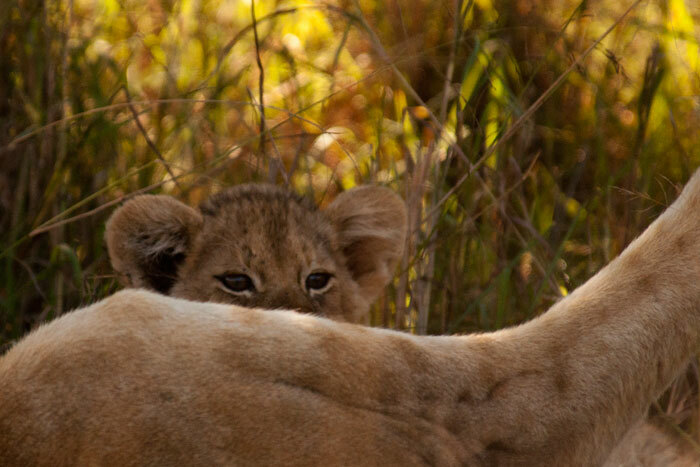 One of the cub peers at a wildebeest walking close by from behind the safety of his mother. 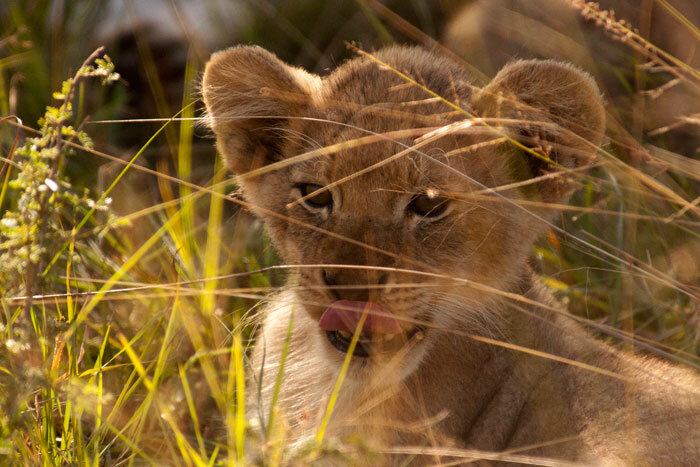 The lioness would end up stalking the wildbeest on her own, leaving the obedient cubs next to the vehicle while she hunted, but failed and came back to keep nursing. 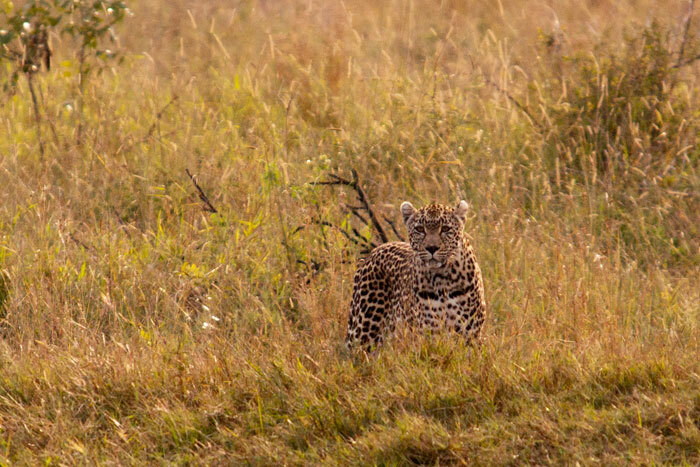 However, that evening she managed to kill an impala, and therefore secured the three little ones their first meat! One of the cubs gets a rare moment of nursing alone, without his siblings bothering him! 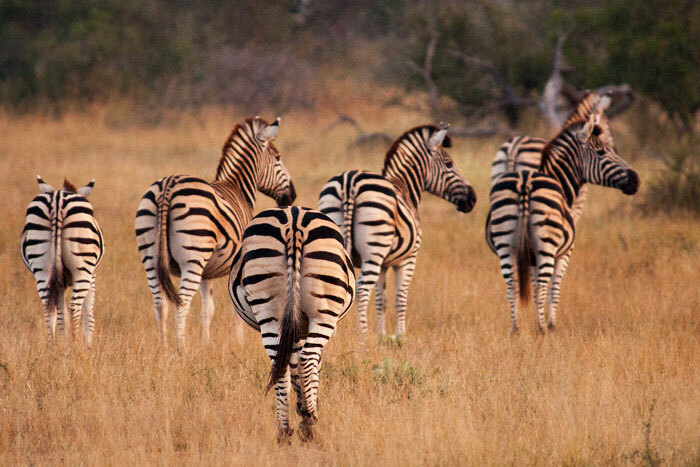 A dazzle of zebra look towards the sunrise. We appreciated this as a photographic moment, but when another ranger announced on the radio that there had been a warthog distress call in the area where the zebra were looking, their heightened senses became apparent. We had been sitting in complete silence but heard nothing! 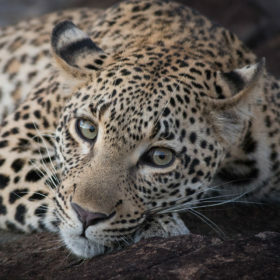 When looking for predators, we often take advantage of the other animals' sharp awareness, investigating further when alarms are sounded or attention is focused in a particular direction. Unfortunately we never found the 'distressed' warthog, or the probable leopard with it, but two hyenas also searched the area along with us, also having heard the sound but from miles away! 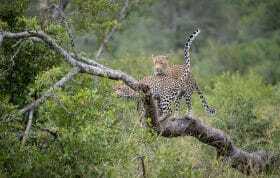 Looking very cheetah-like, the Nottens Female leopard roams the plains in the south of Londolozi. We rarely see this female mainly because her territory is in an area not typical for leopards - open spaces with few tall trees, where we go to search for buffalo and rhino, not leopard! We saw her twice this week, however. 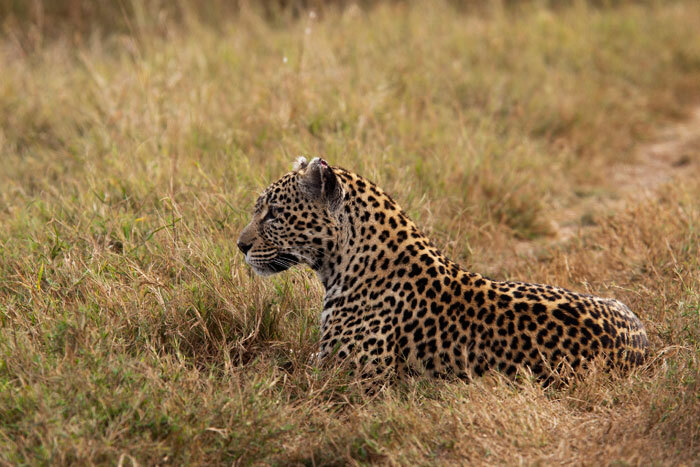 This lovely 'mature' leopard is starting to show her age in her greying ears, but certainly not in her behavior. She killed a steenbok this week and kept it hoisted in a tree, occasionally feeding on it but still hunting impala in the meantime! The Nottens Female perks up, looking towards some reedbuck nearby. 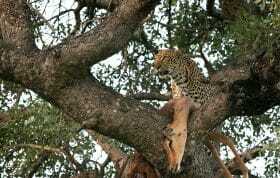 She would eventually try to hunt them, but get chased by three hyenas looking for an easy meal. Beautiful pictures, very clear. 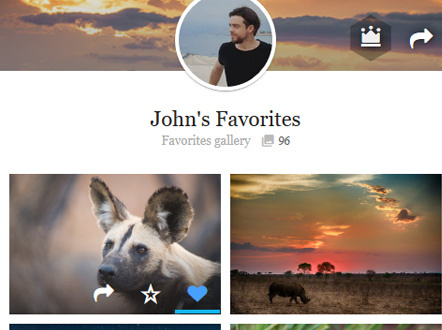 Thank you for this updating about all those beautiful animals. But what about the two motherless cubs. 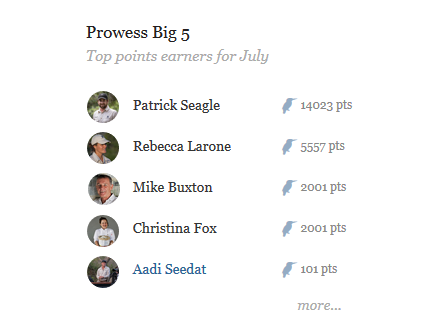 How they are doing so far. Again thank you. Thank you again for some wonderful pictures! I look forward to these every week. What a beauty!!!!! 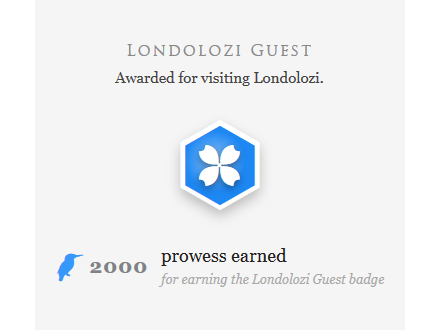 I would like to be in Londolozi!!! So many fantastic photos. 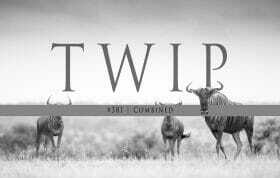 Loved the Kudu with the branch in its horns and the ones of the lion cubs. Actually, I loved them all. Thank you soooo much. Thank you for responding so quickly. I have read that blog, and it is all about the three tiny little cubs. Wonderful to read. But I am really curious how the two motherless cub, which were last has been lost for a week, are doing now in the pride? I am very anxious to know. thank you again. They are doing well and spend time with the rest of the pride who will look after them for the foreseeable future. Hi Shirley, an update from this afternoon is that the pride has been in a neighboring property. The two older cubs were seen on their own on the boundary yesterday. 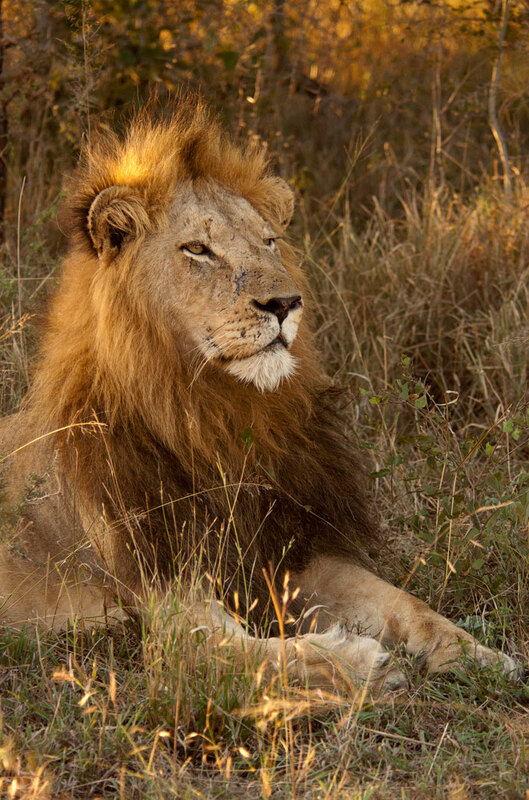 They are looking thin but not starving, and we know that the pride is close. Wonderful as always! Look forward to this every week. Thank you very much! Fabulous photos. 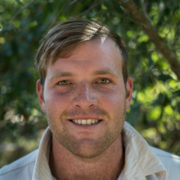 We so long to come back to Londolozi and have you as our guide. 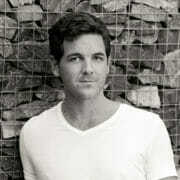 Rich–once more you have brightened up our day with your brilliant pictures. Can’t believe these little cubs will be all grown up when we see them next March. Thanks again for the images we carry around in our minds until your next post. 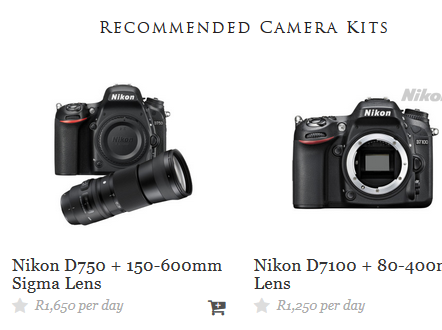 Talley, your photos make me ache with anticipation and hugely motivational in getting myself planned for another trip! Saw my father in laws wife the other night and she sends her best. They too were astonished at Freddy’s ability to see the un-seeable! Thank you for your amazing photographs – I look forward to them every Friday! Best to all! Hi I was wondering, is the Tugwaan male also the Short Tail Male? It looks like him and and they have fathered the same offspring (Dudley Riverbank 5:5 male) but the name threw me off.. I’ve never heard him as Tugwaan male. 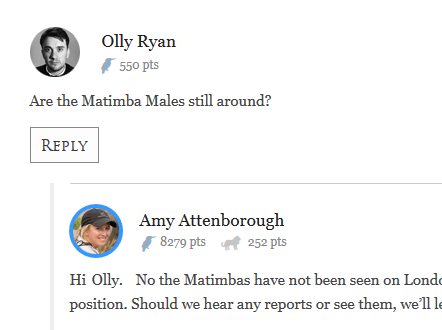 Also I heard something else interesting… On a MalaMala blog I heard that Dudley 5:5 male or the Airstrip male as they called him had been mating with the Tamboti female.. Wouldn’t that be inbreeding though since Tamboti female was also fathered by the Short Tail Male? Hi Abby, the Tugwaan male is indeed the Short Tail Male. 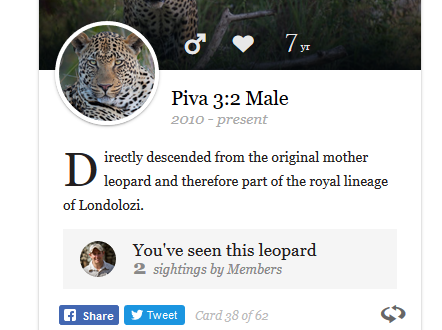 We name the leopards after the territories in which they are found here at Londolozi. 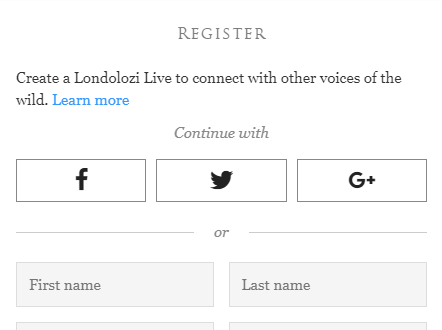 As for the Dudley 5:5 Male Mating with the Tamboti female, I will have a look into the dynasty for you to answer your question shortly.